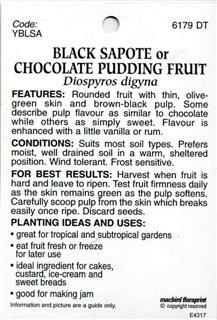 Evergreen tree bearing sweetly flavoured fruit with thin, olive-green skin and dark chocolate brown pulp. Native of Mexico, this tree is ideal for tropical and subtropical gardens. Height to 6m tall, grafted or weeping vaneties 4-5m tall. 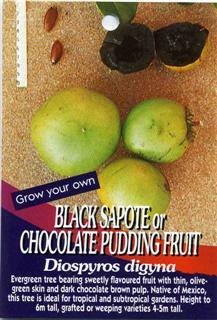 FEATURES: Rounded fruit with thin, olivegreen skin and brown-black pulp. 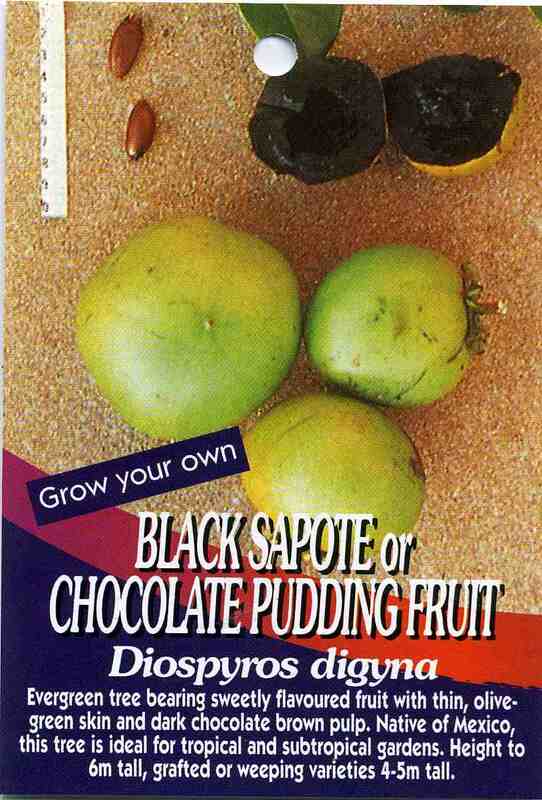 Some describe pulp flavour as similar to chocolate while others as simply sweet. Flavour is enhanced with a little vanilla or rum . CONDITIONS: Suits most soil types. Prefers moist, well drained soil in a warm, sheltered position. Wind tolerant. Frost sensitive. FOR BEST RESULTS: Harvest when fruit is hard and leave to ripen. Test fruit firmness daily as the skin remains green as the pulp softens. 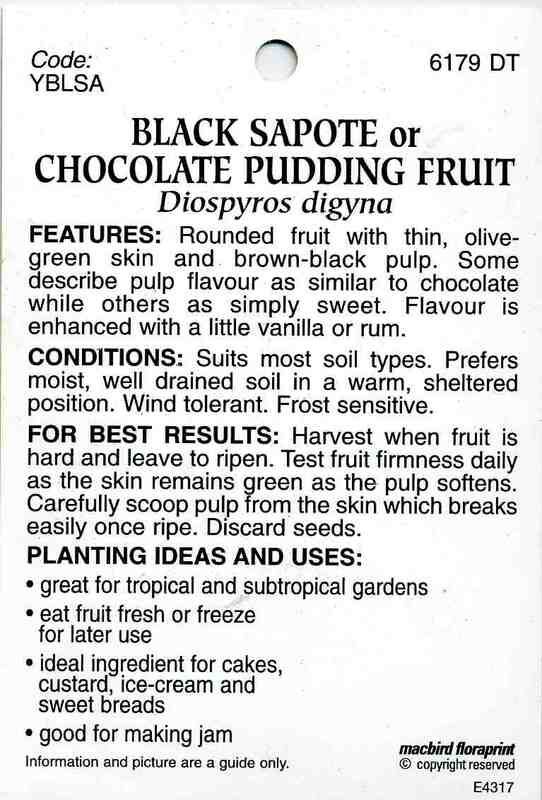 Carefully scoop pulp from the skin which breaks easily once ripe. Discard seeds.